Tablets for schools have grown in popularity over the last three years as the range available on the market has increased dramatically. More schools and colleges are looking to invest in a BYOD or 1:1 device solution and often choosing tablets as their preferred hardware solution over the more traditional laptops and PCs. Learnpad enables effective supervision and control through a set of tools designed specifically to help students remain focused, work independently whilst staying safe. You are also able to see real-time views and controls for school teachers. ClassView provides a real-time view of student tablet activity. It allows teachers to monitor multiple student LearnPad tablets simultaneously, display individual student tablets on a whiteboard or screen and even take control of a LearnPad. This enables the teacher to be able to launch and demonstrate activities. You can also remotely capture screen shots of students work, save and print them. We are also able to quote for other LearnPad products. iPads are also popular in the education market. Students are familiar with the iPad due to having these devices accessible at home. iPads do not come with management as standard like the LearnPads do. SchoolCare would recommend using a Mobile Device Management Solution if a school is considering deploying iPads into a classroom. 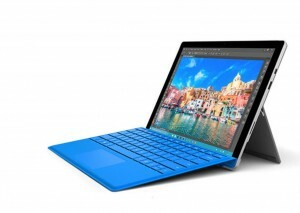 SchoolCare are able to supply all variants of the Microsoft Surface devices. The Microsoft Surface is a flexible device that can be used with or without a detachable keyboard case and stylus making them the ultimate hybrid between laptop and tablet use.